Until the 1850s, women held various unofficial roles in the Army: wives, cooks, nurses, midwives, seamstresses, laundresses, prostitutes, as well as ‘sutlers’, who traded in food and drink. All lived with and around a regiment and even travelled abroad with it. They played a significant role in caring for the physical and emotional wellbeing of the men. But, with the increasing professionalisation of the Army during the second half of the 19th century, women found themselves more and more excluded. 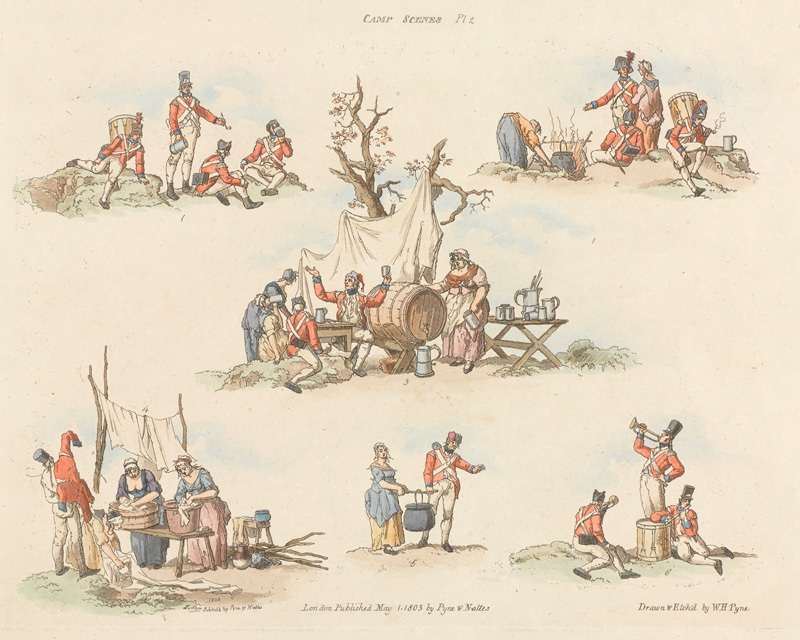 These 1803 etchings show women washing, cooking, serving beer and travelling with soldiers, but also revelling with them. Mrs Rogers was the wife of a non-commissioned officer at the camp of the 4th Dragoon Guards during the Crimean War (1854-56). She acted as a cook and laundress for the regiment and was much admired for her bravery. 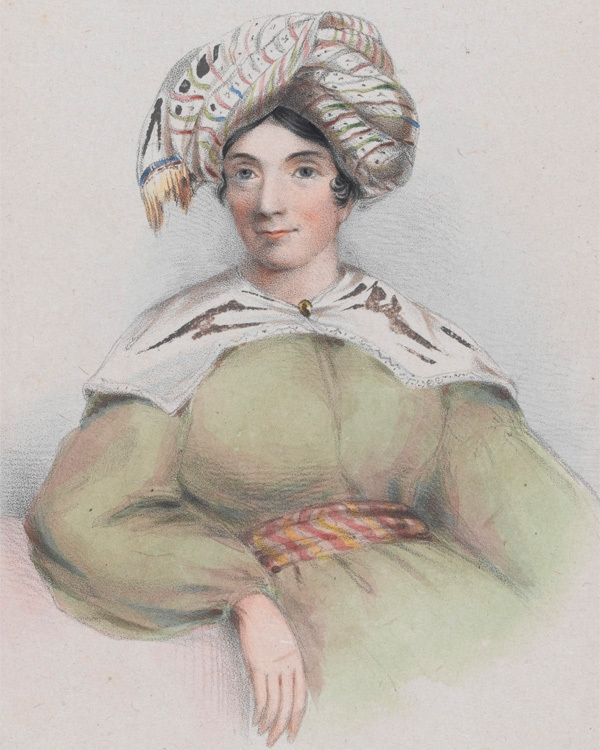 In a letter of June 1855, Colonel Edward Cooper Hodge described Mrs Rogers as deserving the Crimean Medal ‘ten times more than half the men who will get it’. 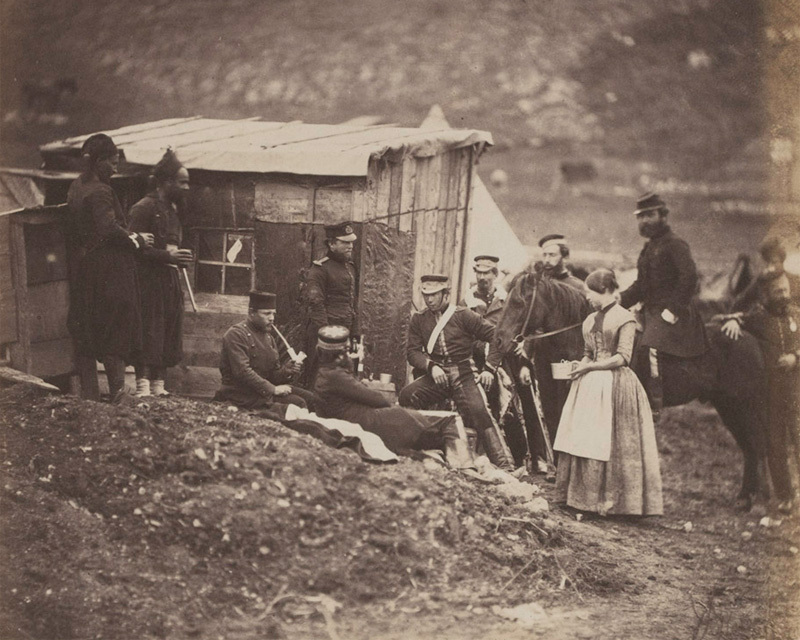 Mrs Rodgers (standing on the right) with soldiers of the 4th Dragoon Guards in the Crimea, 1855. Cantinières were civilian women attached to the French Army on an official basis, who sold food and liquor to the soldiers above and beyond what they received as rations. They had to be married to a soldier of the regiment, and received no pay, living off their earnings instead. The cantinière also played an important social role in the regiment, providing female companionship to the men away from home. For a fee she might also undertake cooking, laundry, or sewing. During a battle, she might distribute brandy and cartridges to the troops, and assist the wounded. Usually from lower-class backgrounds, cantinières lived and travelled with a regiment and shared the same hardships as the soldiers. 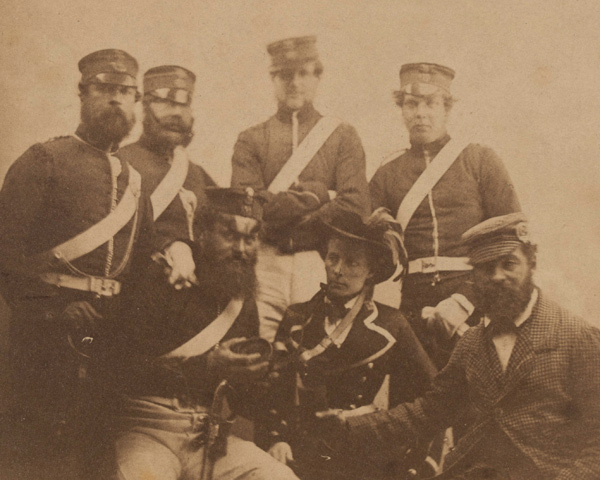 British soldiers with a cantinière in Crimea, 1855. The Victorian army saw itself as a large family. 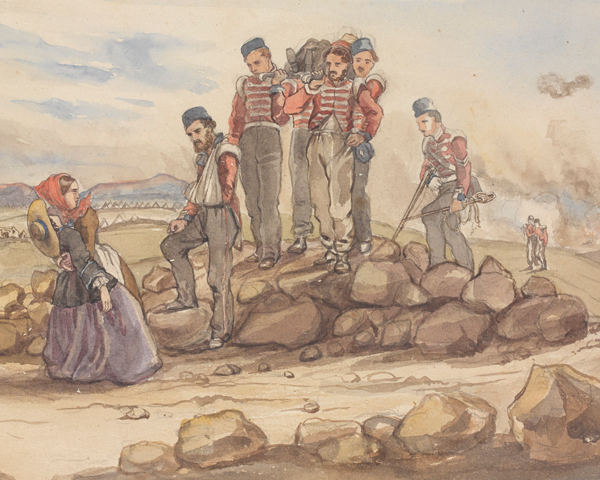 Officers were encouraged to marry and to settle down; they played a paternal role within the regiment, and their wives an important maternal one. Marriage for other ranks, however, was positively discouraged; a man’s regiment demanded his loyalty before a wife and child. A Victorian soldier needed permission from his commanding officer to get married, and this was only granted to a small percentage of the men in each regiment. The status of a 19th-century soldier’s wife was directly related to that of her husband. The wife of an officer would have shared her spouse’s privileges. Frances Isabella 'Fanny' Duberly (1829-1903) was the wife of Captain Henry Duberly, paymaster of the 8th Hussars. 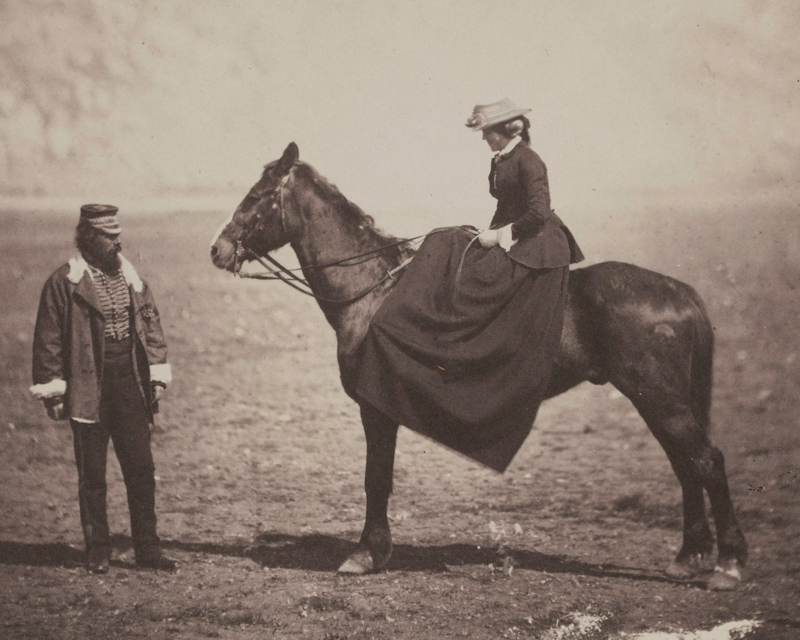 She was one of few officers’ wives to accompany her husband throughout the entire Crimean War, and would be told about battles ahead of time so that she could watch from a good vantage point. She was well loved by the troops, who nicknamed her 'Mrs Jubilee'. But her behaviour was considered unseemly by Victorian society. 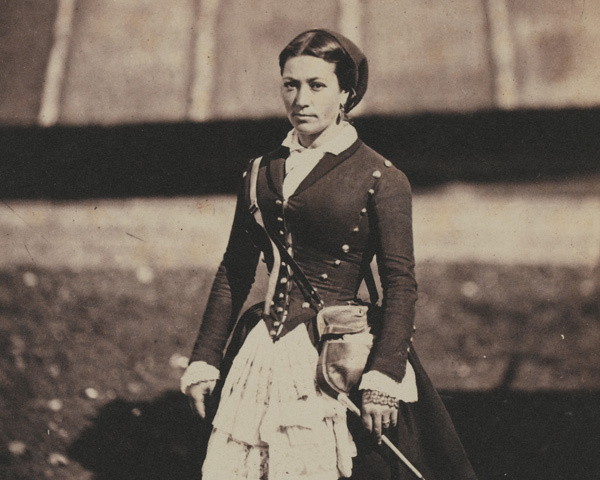 When she published her diary of the war in 1855, she wished to dedicate it to Queen Victoria. But the request was refused. The next day, Cadogan returned to the same spot, where the woman has found the body of her husband. 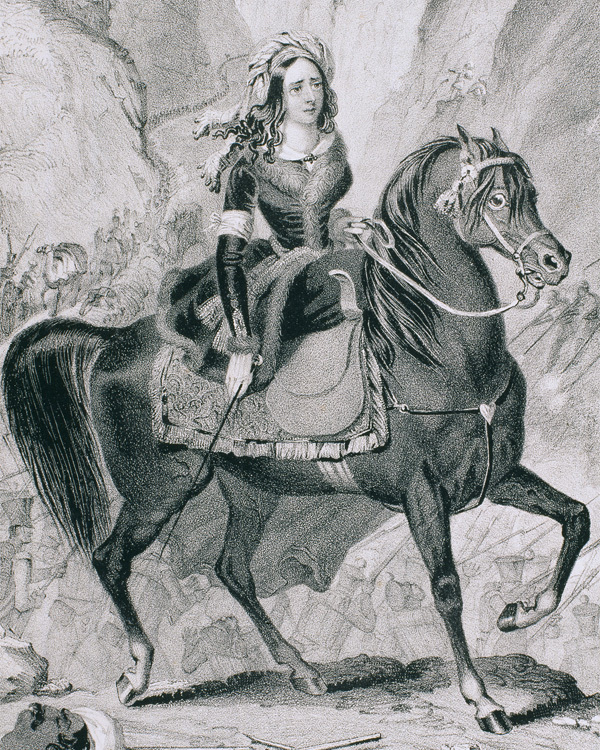 Lady Florentia Sale (1790-1853), was the wife of Major-General Sir Robert Sale, the defender of Jalalabad during the First Afghan War (1839-42). She accompanied the British force on the 116-mile retreat from Kabul back to Jalalabad in 1842. After witnessing much bloodshed and nursing the wounded, Lady Sale was eventually captured and imprisoned. 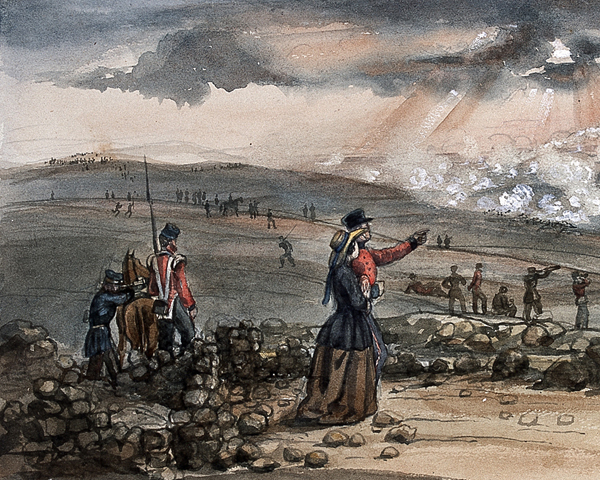 After nine months' captivity she was finally released by Major-General Sir George Pollock’s army. She kept a diary during the retreat and her subsequent captivity, which was published to critical acclaim in 1843. Dubbed the 'soldier's wife par excellence' by 'The Times', Lady Sale was also known as 'the Grenadier in Petticoats' by her husband's fellow officers. But at the same time he sang the praises of his own ‘wife’. He wrote, ‘She is a very faithful creature and is my constant companion sleeping or waking, like most women, she has a very long sharp tongue… She seldom speaks but when she does it is very effective being generally accompanied with something in the shape of an ounce of lead.’ He was, of course, not writing about a woman, but his musket! 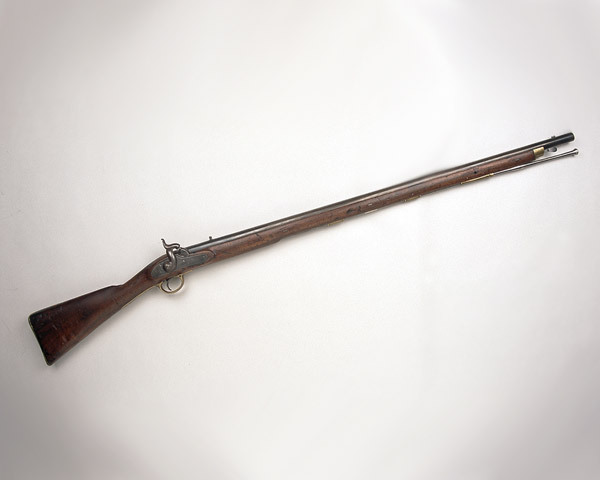 A Pattern 1842 musket, Banham’s beloved ‘wife’. Explore objects relating to women's service in the British Army. Separation from loved ones is among the hardest things a soldier has to deal with. Lengthy campaigns have kept husbands from their wives and parents from their children.